In an ideal world, there would be no need for the Primate Rescue Center. But sanctuaries such as ours exist because unscrupulous breeders and dealers continue to sell baby monkeys to those who inevitably learn that they’re unable to provide those animals suitable lifetime care. Because some states are unwilling to enact common-sense laws that outlaw the cruel trade in pet primates. Because research laboratories quietly dump their unwanted animals after their experiments are finished or their grant money runs out. Because those who use baby primates in the entertainment industry unload the animals when they become too big to safely handle. And the PRC exists because zoos and other exhibitors eagerly cast off their “surplus” primates when they run out of cage space or deem that the public would prefer to see other species. In short, the PRC exists because of greed, expediency, and a general lack of understanding about what primates in captivity endure. In addition to caring for some of those unwanted animals, our mission is to help educate the public about the largely secretive primate trade. It’s our hope that if enough people understand the inherent cruelty of this business, they’ll collectively help us shut it down. See the breakdown of issues in Sanctuaries, Entertainment, Research, In the Wild, Private Ownership and Exhibit below. 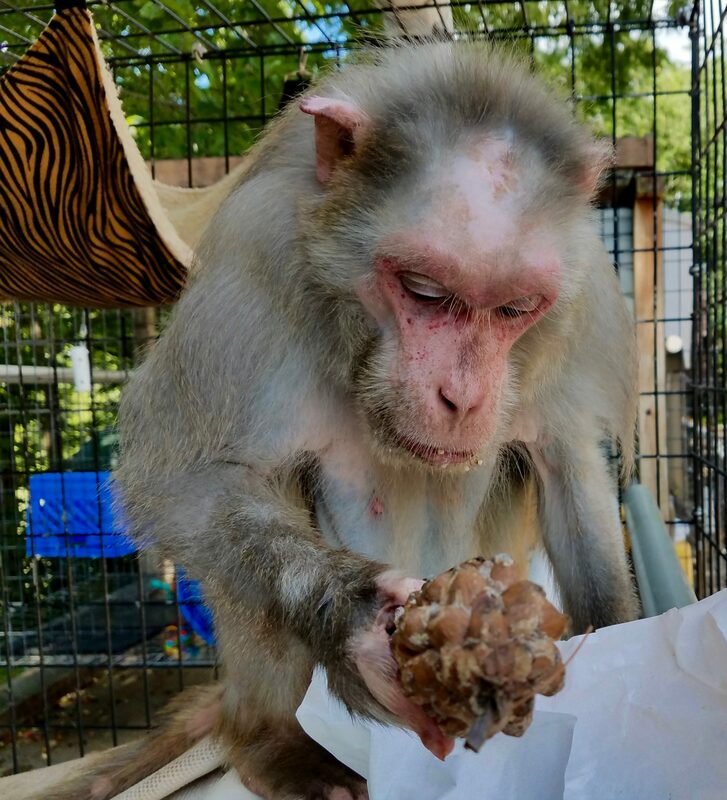 The best, most humane option for unwanted pet primates, retired research subjects, and surplus zoo animals is undoubtedly a credible, well-run sanctuary that’s able to provide exemplary lifetime care. But not all sanctuaries provide the same quality of care or uphold the highest ethical standards; in fact, some so-called sanctuary operators actually sell baby monkeys to the public, thereby adding to the very problem they’re supposedly helping to solve. As a result, contributors need to be certain that their donations to a sanctuary are being put to the best possible and that the animals are truly benefiting. 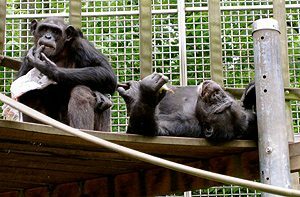 Primate sanctuaries that are not open to the public need not be inspected by the U.S. Department of Agriculture; as a result, it may be unclear whether the animals there are receiving quality care. As nonprofit institutions, sanctuaries rely on donations from the public. But during tough economic times, when donations may be down, sanctuaries may not have the wherewithal to provide their usual quality of care. Many states have no mandated regulations concerning the operation of sanctuaries, so even those without the proper knowledge or background can take in unwanted animals, build a website, and then solicit financial aid from the public or businesses. Some so-called sanctuaries are hardly distinguishable from roadside zoos: they charge admission fees, permit interaction with the animals, and make money off of concessions, parties, and commercial photo shoots, subjecting the animals to undue stress. Some sanctuaries are mom-and-pop operations with no feasible plans to care for the animals if they’re sick or otherwise unavailable. There’s no requirement that sanctuaries render their animals reproductively inactive or keep breeding-age males and females separate, which contributed to unwanted births and exacerbates the problem of overcrowding. Sanctuaries need to be totally transparent about how they raise and spend money, and would-be donors need to research sanctuaries thoroughly before providing them financial support. They perform in circuses, movies, and TV commercials, and they perch atop entertainers’ shoulders at county fairs or, dressed as tiny jockeys, are strapped atop dogs who traverse an oval race course. It’s all meant to entertain us, but the use of primates in entertainment has a dark side that’s not quite so amusing: these young animals are usually coerced to perform their tricks via the use of negative reinforcement—i.e., they’re beaten or otherwise punished when they don’t get with the program. And there are no show-business roles for these youngsters when they reach adolescence; dangerous, and therefore no longer able to earn money for their owners, they’re usually dumped into the pet trade, where they’ll live out their lives in another kind of misery. Primates used in entertainment are usually taken from their mothers just days after birth, causing both parent and offspring enormous stress and confusion. While being trained for entertainment, primates are typically subjected to isolation and abuse. Movie producers are now successfully using animatronics and digital techniques in place of live apes and monkeys—techniques viewers should applaud and demand. The cute and cuddly young primates that viewers see in TV commercials help reinforce the idea that these animals are tame and easy to handle. This not only further fuels the pet trade, but it may encourage even more poaching from the wild to help meet demand. Those who supply primates to Hollywood and Madison Avenue often sell them—or even give them gratis—to breeders, dealers, and substandard “sanctuaries” when the animals become too large to handle. 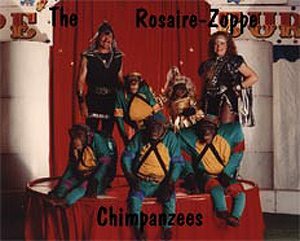 Nonhuman primates should not be forced, against their will, to perform in circuses, movies, TV shows, or photos shoots, particularly since their training involves cruelty. 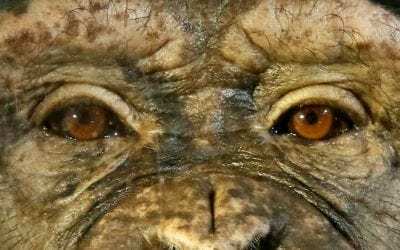 Exact numbers are difficult to come by, but reliable counts reveal that there are more than 100,000 nonhuman primates in U.S. laboratories, whether for breeding or experimentation. 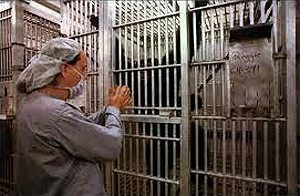 Those apes and monkeys kept for the latter are subjected to everything from psychological deprivation to repeated surgeries and other invasive procedures. Although the federal Animal Welfare Act proscribes standards designed to insure that research animals are treated humanely, the law actually only provides for bare-minimum standards. And as numerous undercover investigations have revealed, pharmaceutical companies, universities, and even government laboratories often ignore those requirements, subjecting animals to cruel conditions and needless suffering. Although polls in developed nations show that the public objects to the use of nonhuman primates as medical research subjects, the number of primates used in research has gradually increased over the last decade. 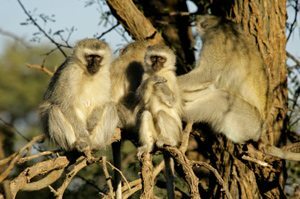 Primates are used in experiments related to everything from drug abuse and neuroscience to new-vaccine research, cross-species organ transplants, and such infectious diseases as Lyme disease and the Ebola virus. All such experiments subject the animals to untold stress and suffering. 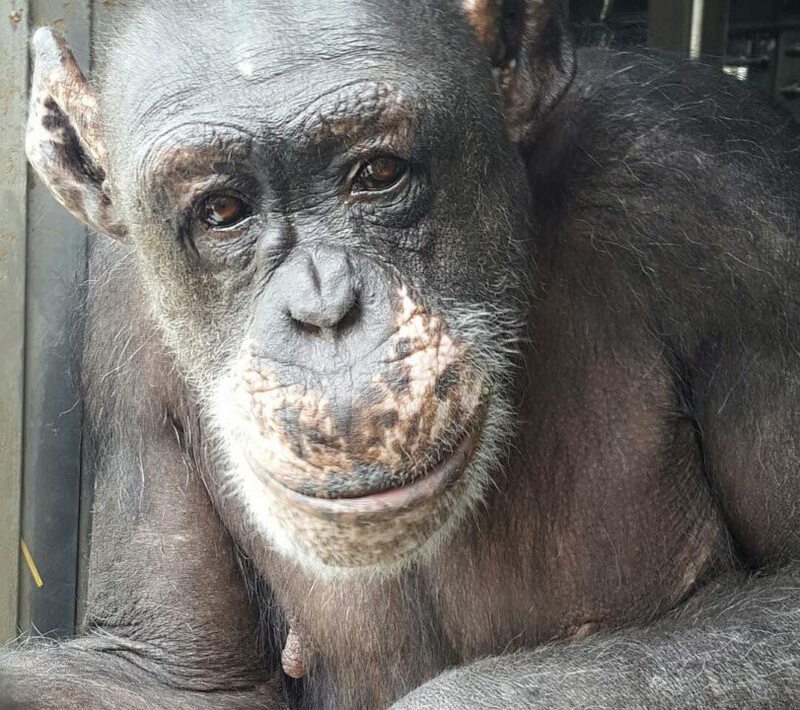 Because of their genetic similarity to humans, chimpanzees have been used extensively in HIV/AIDS research—a decision that has raised ethical concerns, as some animals have been subjected to decades of confinement and invasive research. What’s more, recent scientific assessments have concluded that there is no justification for using chimps in HIV/AIDS research, as the virus affects chimps and humans differently and the chimps’ reactions to vaccines do not accurately predict responses in humans. The advent of new computer modeling and other technological innovations have, in many instances, rendered testing on animals unnecessary. Some animals are confined to small laboratory cages, in sterile environments, for decades, even though they’re never used for testing. The Animal Welfare Act, which is designed, in part, to protect primates and other animals used in research, offers just bare-minimum standards of care. And annual inspection reports reveal that many of those licensed by the USDA to conduct research on primates are in frequent violation of even those paltry standards. When research grants are not renewed or drug companies shift their research focus, primates are often transferred to pet-trade brokers who operate bogus sanctuaries. These animals, who may have been subjected to infectious diseases, could end up in the auction ring or be used as breeders. From computer simulations to ethical studies with humans as volunteers, there are many viable alternative to subjecting nonhuman primates to laboratory testing. From the Indonesian rainforests to sub-Saharan Africa and the jungles of Central America, nonhuman primates are under siege: they are hunted for the “bushmeat” trade, poached for the pet trade, indiscriminately killed for raiding farmers’ crops, and captured by the tens of thousands for biomedical research in the U.S., Europe, and, increasingly, in China. And both apes and monkeys face further peril because of escalating habitat loss, as migrating humans lay claim to the animals’ historic range and loggers, farmers, and oil companies press deep into once-pristine forests. In short, many primates are already deemed to be endangered, and without our help other species face a similarly dire fate. 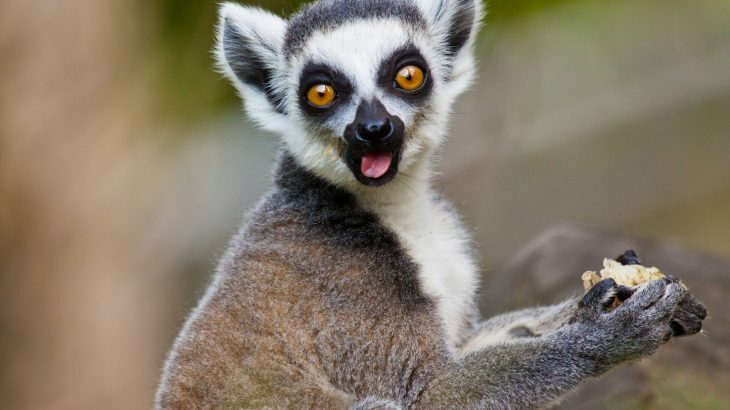 A significant number of primates are classified as endangered species, as habitat loss, hunting, and other stresses push these animals toward extinction (in Madagascar, for example, which is home to lemurs, only 10 percent of the animals’ native habitat remains). In spite of this, many countries devote few resources to primate conservation. Some primates, including Great Apes, have low birth rates, so the deaths of individuals from hunting, logging, or poaching have profound effects on the overall populations. As their habitat shrinks from human encroachment, primates native to tropical rainforests, in particular, face additional threats from the effects of climate change. In some areas of the world, primates parts—much like rhinoceros horns and tiger bones—are used as medicinal potions. This may include anything from drinking a monkey’s blood to eating his brain in hopes of curing or warding off disease. Some primates are hunted for sport; others, like black-and-white colobus monkeys, are sadly still hunted for their pelts. Trapping to satisfy the demands of the pet trade takes a particularly devastating toll on wild populations of primates, as entire families may be killed to snare one youngster. It is estimated, for example, that as many as 10 chimpanzees die for every one delivered overseas. Killing monkeys and apes for “bushmeat” has a terrible ripple effect, as orphaned babies—unable to fend for themselves—are often left behind. Wild primates deserve to live their lives in their native environments, without interference from those looking to capitalize on the animals’ suffering. The United States has a hodgepodge of laws regarding the private ownership of nonhuman primates: some states outlaw it entirely, while others have no restrictions (although individual counties or municipalities in those states may limit or prohibit private ownership). Some states bar individuals from owning monkeys, but have “grandfathered in” those pets in someone’s possession prior to the enactment of the law. Florida bans the ownership of baboons and Great Apes, but requires different permitting requirements for those who want to own large or small monkeys. Oklahoma requires that those possessing pet monkeys have their facilities inspected annually, while other states require possession permits but never inspect the properties. Because the conditions in which animals are kept are usually not monitored by federal or local officials, they are often subjected to neglect, mistreatment, cruelty, and even death. Some primates can transmit debilitating—even lethal—diseases. Macaques, for example, carry the herpes B virus, which is potentially fatal for a human who’s scratched, bitten, or spit on. Quality veterinary care for primates is often hard to find, so animals may not get necessary attention for medical or dental problems. Because docile baby primates usually become wild and unpredictable as they age, some owners remove their pets’ teeth, subjecting them to great pain and making it impossible for them to ever again eat a normal diet. Monkeys are social by nature, but pet owners often keep their animals caged alone, subjecting them to profound and psychologically damaging loneliness. Pet primates are sold by breeders, dealers, and auctioneers who are in business only for profit, with no regard for the welfare of the animals. When someone inevitably tires of keeping a pet monkey, there are few viable options for relocating that animal: local shelters aren’t equipped to keep primates, and most sanctuaries are filled to capacity. 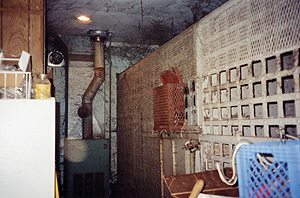 As a result, the animals are ignored in their basement or garage cages, causing them even more physical or psychological stress, or in some cases even let loose to fend for themselves. For the good of the animals, all states should unilaterally ban the ownership of apes and monkeys by private citizens. Zoos, safari parks, and other exhibits are by all measures unnatural environments for primates, but the quality of care varies greatly from one facility to the next. For example, at least some major metropolitan zoos have the budgets to provide monkeys and apes with large, well-landscaped environments that allow them to live in groups, remain active, and, if they wish, stay hidden from visitors. 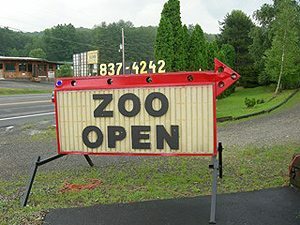 By contrast, the infamous roadside zoo is tragically still a fixture of the American heartland, its sterile, concrete-and-steel cages offering otherwise social and athletic primates lives of solitude and inactivity. Zoos may one day be only a memory, but for now, at least, shuttering roadside menageries would spare many primates a fate worse than death. Scientific evidence demonstrates that nonhuman primates are intelligent, sentient, emotionally complex individuals, whose physical, psychological, and social needs are not met when confined for exhibit. When confined to small exhibits with inadequate stimulation, primates (like other animals) often develop neurotic tics, that many include everything from sitting and swaying endlessly to self-mutilation. Primates confined to exhibits do not in any way contribute to the survival of their species in the wild, since these captive-born animals are ill-equipped to live in their native habitat. Zoos encourage breeding, since babies bring paying customers through the gates. But with only so much cage space, adolescent or aging primates are relegated to “surplus” status and pawned off on middlemen who may then sell them into the pet trade or medical research. There are risks of primates in captivity spreading diseases to humans, which can jeopardize the wellbeing of humans and animals alike. In Great Britain, for example, several safari parks slaughtered hundreds of macaques who tested positive for herpes B—a virus that’s harmless to the monkeys but usually fatal for humans. The USDA, which is charged with inspecting zoos and other exhibitors, is woefully understaffed; as a result, inspections are infrequent, and licensees typically receive a mere slap on the wrist for keeping primates in substandard conditions. Circuses and roadside zoos are as out of place in this society as the organ grinder with a monkey on his shoulder who’s tethered by a chain around his neck. No primates—or other animals—should have to endure such miserable fates. 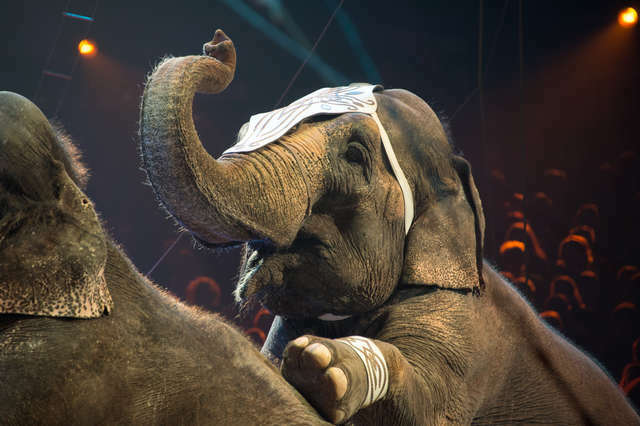 Recently, New Jersey became the first state to ban the use of wild animals in circuses. And now, only a week later, Hawaii has followed in its footsteps.